Patricia Kriz is 27, single and works for a real estate investment fund in New York City. A self-confessed ‘big foodie’, Kriz is also in the process of setting up her own company— Patty’s Pantry NYC, selling premium desserts and baked products to stores in NYC and on the internet. In August last, she came across a website—Ask Sunday, offering concierge services. On impulse, she sent in a request for a rental car on a busy weekend and was pleasantly surprised at the service. Not only did they find her a car within the specified time, it was also $25 (Rs 1,000) cheaper than what she could have found herself. Kriz now gets the Hyderabad-based Ask Sunday agents to gather market data, do research and documentation work for her. Among the host of requests she sends to Ask Sunday are restaurant reservations, flight tickets, appointments, ordering flowers, wake- up calls, and finding out hotel rates. In one instance, she even found the right jeweller to fix a sentimental piece for her. “I now regularly make a list of things that I get done by Sunday,” she says. If that sounds like a dream, it probably is. For Ayers, Kriz and thousands like them, outsourcing their work—both personal and professional— to remote assistants based out of India is the norm. Knowledgeable, cost-effective and more motivated than the local staff, these assistants are important pointspersons in making life easier for their clients. Anything that can be handled remotely via internet, e-mail, fax, VoIP (voice over internet protocol) phones is a do-able task. 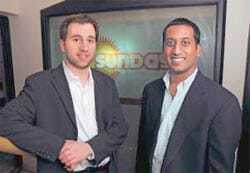 Ask Sunday, co-founded by Steve Ludmer and Avinash G. Samudrala in mid-2007, is a new player in the field but is already servicing nearly 2,000 customers in countries like the US, Canada, UK, Germany, Switzerland, Japan, Singapore, the Philippines, Hong Kong and Dubai. Some would scoff at the very suggestion but you can get emotional and moral support with the help of concierges. YourManInIndia (YMII) provides moral support services to Chennai-based Sughandha Srinivasan, 74, mother of its NRI client. Life was slightly difficult for the lady till YMII’s Charu entered her life—once a week for the last three years. Under YMII’s moral support service, Charu’s job not only requires her to spend a couple of hours with Srinivasan and check on her well-being but also do small errands for her, like bill payment, ticket booking or doctor’s appointments. “I can call Charu anytime of the day, for any information. She worries about me as much as my children do,” Srinivasan says. Charu is not the only visitor. J.V. Raman, a doctor with a reputed hospital in Chennai, also comes regularly for general check-up, under YMII’s healthcare programme. 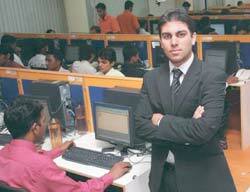 The company is headquartered in New York City (NYC) and its major workforce (around 200) is based out of Hyderabad. “Both of us were busy professionals, working long hours in NYC and were looking for ways to get some of our time back. We saw there were so many people who were time-starved and stretched between work and family, but a dedicated personal assistant was just not cost-effective,” says Samudrala. So, they created a pooled system of assistants that could not only help them but also other busy professionals they knew. Their client Johnny Johnson is 28, single and works in a small office furniture suppliers company— Premier Suppliers, based out of Washington D.C. Johnson had to cope with a lot of important and not so important work which made his work hours stretch to stressful levels. But not anymore. For the last three-to-four months, he’s been outsourcing his daily chores like creating new invoices, researching new vendors, manufacturers, fixing his appointments, to Tasks EveryDay. “It’s a revelation to me that I can actually get my assistant to do so many things; that too in a monthly budget of $1,100-$1,200 (Rs 44,000-48,000),” he says. 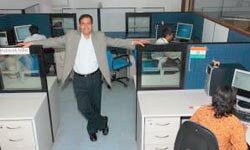 Brickwork’s moment of reckoning came in 2005 when the New York Times columnist Thomas L. Friedman wrote about his friend Vivek Kulkarni (Brickwork’s COO and ex-IT secretary of Karnataka) and his company in The World is Flat. Brickwork was stormed with requests for remote executive assistants from all parts of the world. Brickwork now gets around 50-60 leads (service requests) each day and selectively signs on a little more than a quarter of these as clients. Get Friday, a virtual assistant service of TTK Services in Bangalore, has a staff of 175 serving about 1,000 clients from the US, UK, Germany, Switzerland, Israel, New Zealand, Australia, Hong Kong, among others. Get Friday charges $15 (Rs 600) an hour, plus $10 (Rs 400) a month, though rates are lower for those with monthly plans. “It is quite incredible to note that 90 per cent of tasks may not actually require physical presence there,” says P. Sunder, Chief Operating Officer, Get Friday. TTK’s dedicated service for NRIs YourManInIndia (YMII) makes the lives of 20,000 Indian expatriates easy and gets things done for them in India. Clients can choose to place an order through the website and then the requirement flows to one of the six branches in India. The services being offered by these concierges, or virtual valets, range from regular to bizarre. There are requests for quick information look up, getting music organised, online shopping, wake-up calls with the weather update and a reminder to exercise thrown in, to even getting work done on the company’s quarterly report, market research, documentation, compilation of information and in some cases even getting jobs for their clients. “We have organised parties and delivered food locally in the US through phone, we got a window pane fixed in Geneva and we can get a contractor to fix a broken plumbing line sitting right here in Bangalore,” elaborates Sunder. Get Friday’s client Valentin Yeo, 28, a self-employed SEO (Search Engine Optimisation) consultant in Munich, often needs support for his consulting business, updating and sorting his MP3 collection and sorting images. Though he says it is very uncommon in Germany to do something like this, it makes sense to him. “A lot of work would not get done if it wasn’t for Jasmine, my assistant at Get Friday. I guess I would say in a good week I get around 10-15 hours freed because of Jasmine,” he says. Ask Sunday, which calls its clients Sunday members, partners with various travel agencies in the US to offer full service travel agency support. Tasks EveryDay gets requests to search ‘match’ portals to find suitable matrimonial matches. YMII, for its part, once got a vintage birth certificate (for a person born before 1930) from Shimla at the request of an Englishman in Canada. Evalueserve, a research firm, has predicted that ‘person-to-person offshoring’, both consumer services and services for small businesses, would grow rapidly, to more than $2 billion (Rs 8,000 crore) by 2015 globally. It’s a winwin for all. While the service cost differs from company to company, hourly rates can vary between $7 (Rs 280) and $50 (Rs 2,000), depending on the task, time and expertise. For the clients, that’s an obvious advantage of offshoring to India. For the service providers, it has translated into a big opportunity. There are a host of companies like Virtualassistant247 and Yantram that offer offshore personal assistant services to individuals as well as small set-ups in the US and UK. Websites such as Guru.com, Elance.com, RentACoder.com and GetAFreelancer.com act as trading platforms for such services and over 10 lakh professionals—a majority of whom are from India—are already registered on these sites as PPO providers. That’s not all. Companies abroad have incorporated these services as part of the employee benefit plans and many are encouraging their employees to use such services to improve their time management. Time perhaps for the Indian companies to take a cue from their foreign counterparts to embellish their benefits packages with ‘concierge services’.